A poor film for a number of reasons. First and foremost, it fails to provide any useful definition of the term 'design thinking'. There are several key figures that are interviewed (including IDEO lot Bill Moggridge, David Kelley and Tim Brown), but no examples of relevant projects. The only design project that is explained at all is concerned with syringe safety and has more to do with industrial design or perhaps engineering that it does with design thinking. Instead we are given a vague impression of the 'culture of creativity' that design thinking apparently encourages. Other relevant points are completely undeveloped. 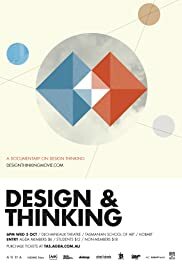 In addition to this, the film almost completely fails to recognise the considerable amount of criticism that design thinking has received over the past few years - indeed it seems more like an advertisement for the featured designers than a documentary. 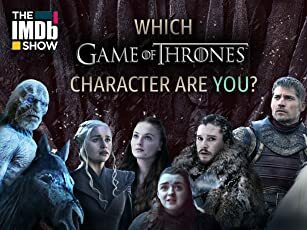 The editing was distracting and frustrating and the soundtrack nauseating (if I have to hear any more 'google-nursery-rhyme-plinky-plonk-xylophone-ukulele-claptrap' I think I might scream). I have tried to critique the film rather than design thinking itself, but it is hard to tell where one type of 'bad' starts and where the other stops. If you want a decent film about design, try one of Gary Hustwit's trio (Objectified, Helvetica, Urbanized). In general, designers tend not to be very good at talking about design, and perhaps this is the problem.